The University of Melbourne is one of Australia’s major research organisations, with expenditure second only to the CSIRO , and the largest cohort of research students in Australia. There are thousands of research stories at the University. Jaclyn Pearson’s is just one. For her doctorate, Pearson (GCALL 2013, PhD 2014) conducted ground-breaking research into E. coli and other gut bacteria that cause diarrhoeal disease. Her PhD revealed exactly how the bacteria use specialised proteins to prevent our gut cells from alerting our body’s immune system to infection. “We found biochemical mechanisms which have never been described before in nature,” she says. Pearson’s work, which won the 2014 Premier’s Award for Health and Medical Research, could lead to more effective treatments against these bacteria in the future. Pearson — one of the 4844 medical and health researchers aligned to the University — also received the National Health and Medical Research Council’s Peter Doherty Early Career Fellowship and now works as a postdoctoral researcher at the Doherty Institute. She says the collegial nature of the Doherty allows her to work more closely with other scientists fighting infectious diseases. Pearson knows the organisms she studies cause disease in millions of people. “It should be something that we can fix,” she says. This article first appeared in 3010, a Melbourne University magazine. Click here to view the original. 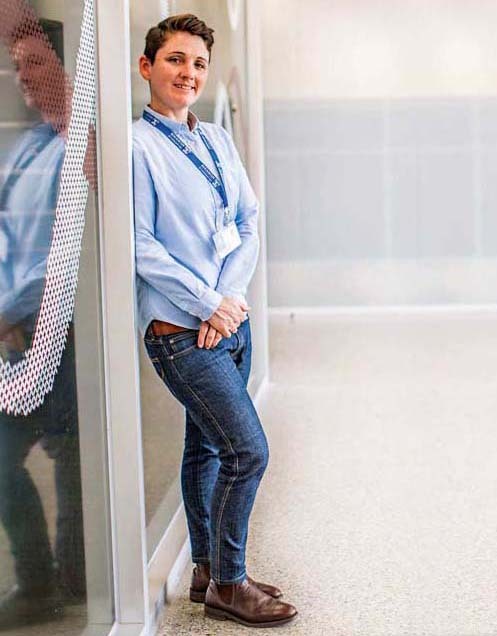 Dr Pearson is a researcher in the Hartland Laboratory, Department of Microbiology and Immunology, School of Biomedical Sciences at the Doherty Institute. In 2016 she won the Annual Scientific Meeting (ASM) Jim Pittard Early Career Award which recognises Australian research in microbiology. Dr Pearson was also a 2016 Fresh Science finalist, in recognition of her research in E coli. Fresh Science is a national competition which encourages up and coming young researchers to communicate their science to a wider audience.